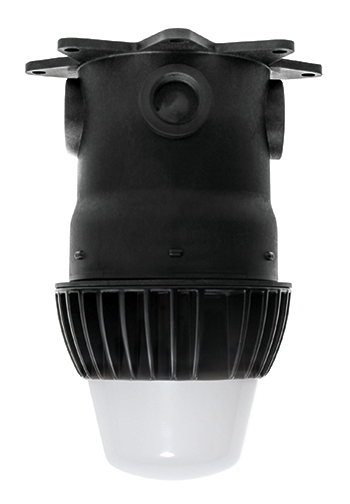 The ProSeries LED Utility Luminaires are an energy efficient "wet location", sustainable and cost effective alternative lighting solution for environments where ingress protection from dust and moisture is highly desirable. ETL Listed to UL Standard 1598 (tested). File #E182610. Suitable for use in indoor, outdoor or wet locations applications. Affordable LED illumination that provides dramatically better visibility. Optimal illumination, significant energy savings and virtually no luminaire maintenance. 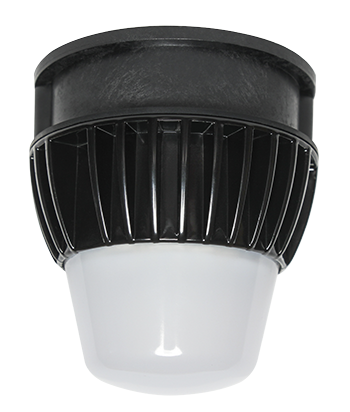 Eliminates ongoing replacement lamp cost when compared to incandescent, compact fluorescent, or LED lamps. Labor savings! Fast, simple installation saves time and reduces labor cost. 3-Wire (Black, Neutral, and Ground) quick connect/disconnect with pre-stripped 3/8" (.375) leads. Below is the Cost of Ownership for a Building Owner that highlights operation of the 15000 Series, the ProSeries Utility Luminaire using a compact fluorescent lamp, and the ProSeries LED Utility Luminaire based on an average of 12 hours of light usage per day. Five (5) years or 50,000 Hour Limited Warranty. Engineered Products Company (herein known as EPCO) warrants that it will repair, replace or refund, at EPCO‘s sole option, any ProSeries LED Utility Luminaire that is determined to be defective in materials or workmanship for a period of five (5) years from the date of original purchase. This warranty only applies to the original Purchaser/Installer and is not transferable. Any ProSeries LED Utility Luminaire that has been incorrectly installed by drilling holes, puncturing, piercing or any other means that will alter the product’s integrity. Damage caused by the use of parts, components, and/or other equipment(s) that is not compatible, suitable, or unauthorized by EPCO for use with the ProSeries LED Utility Luminaire. Damage resulting from use of the ProSeries LED Utility Luminaire in what EPCO, at its sole discretion, considers extreme applications. Product damage as determined by EPCO to be caused by a crash, impact, or obvious signs of abuse to the ProSeries LED Utility Luminaire. No charge-backs for any labor required to remove, re-install, or re-power the ProSeries LED Utility Luminaire. For 120 volt operation only! If the working environment of the ProSeries LED Utility Luminaire will create a class 3 or greater surge voltage, the Purchaser/Installer must install a Surge Protector. A surge suppressor (TVSS device) prevents harmful surge voltages from damaging or destroying the ProSeries LED Utility Luminaire. Note: Failure to install a Surge Protection device prior to the installation and use of the ProSeries LED Utility Luminaire will automatically VOID the warranty and Engineered Products Company is not responsible for any or all re-installation activities, cost, or expenses associated with the use of the ProSeries LED Utility Luminaire or replacement of the ProSeries LED Utility Luminaire. Listed under UL 1449, UL 1283, and meets CSA approval.